The statin class of cholesterol-lowering medications is one of the most potent and popular family of drugs on the market today. The statin drugs include: Atorvastatin / Lipitor, Pravastatin / Pravachol, Simvastatin / Zocor, Rosuvastatin / Crestor, Lovastatin / Mevacor, Fluvastatin / Lescol. Some of these statin drugs go under different names as well. By clicking on their names above, you can read more about that particular statin drug and some of the more salient or dangerous side effects. When looking at side effects it is important to realize that not all official side effects listed on the information sheet that comes with the statin, are proven side effects. For example, lets say one in a thousand got a headache, that headache would be classed as a side effect, whether it was one or not, simply because it occured while a person in the research sample was taking the drug, and it was therefore required to be reported - after all, the statin manufacturer doesn't want you to be able to sue them for with holding information. The fact that the chap had a steel girder fall on his head is irrelevant. Having said that though, there are very real side effects, and some of these statin side effects can be quite dangerous and life threatening. What follows here on this page, is the very typical side effects of statin drugs in general, as well as what statins do and how they do it. Statin drugs are officially known as the HMG-CoA reductase inhibitor family, these drugs work to reduce synthesis of cholesterol within the body. Statins do this by reducing the blood levels of hydroxy-methyl-glutaryl-coenzyme A, a key enzyme in cholesterol synthesis. Without this enzyme, cholesterol does not get synthesized. The vast majority of cholesterol in the body comes from three main sources, dietary, liver synthesis, and synthesis within the gall bladder. Statins do not work against dietary cholesterol, so a low-cholesterol diet is still a vital part of any cholesterol lowering plan. However, given that high cholesterol levels are due to both genetic and dietary factors, statins offer an important tool in lowering high cholesterol levels. Statin class medications are indicated for people who suffer from high-cholesterol levels that don't go down even after a low-cholesterol diet has been adopted. In some cases of high-risk patients suffering from elevated cholesterol, statin therapy may be started at the same time as a low-cholesterol diet, but needs to be evaluated within a few months to see if the statin needs to be continued. Some statins have also been shown to reduce the risks of cardiovascular events and the risk of having to have revascularization procedures, like coronary bypasses, performed. In addition, statins may be prescribed for a variety of other disorders, not all of which can be covered here. Remember that cholesterol problems come in multiple varieties, and no individual statin treats them all. The statin class includes pravastatin (Pravachol), atorvastatin (Lipitor), simvastatin (Zocor), fluvastatin (Lescol), lovastatin (Mevacor) and rosuvastatin (Crestor). One member of the class, cerivastatin (Baycol), was removed from the market for safety reasons. Details are offered in the section on side effects. Millions of people worldwide are currently using statins, and it's estimated that many more should be on them based on blood test data collection. The statin class was introduced with Mevacor in the 1980's, and has been shown to be a relatively safe and well tolerated family of drugs ever since. However, statins should never be prescribed as a preventative, as the body actually does need cholesterol to work. They usually take between 4 and 6 weeks of regular ingestion to build up to full function. The Efficacy of Statin Drugs - or - How good are Statin Drugs in Lowering Cholesterol? Statins have been shown to reduce mortality levels from stroke, heart attack, and cholesterol-related cardiovascular disease by 25%-35%. Of course, each individual statin medication has its own efficacy rating, which is explored more in their individual profiles. It's important to remember that each person's body chemistry is unique and may interact with medications differently than even close family members. Given that statin drugs are available by prescription only, it's important to work with your doctor to find the best medication for you. Statins are a relatively safe class of medications. This doesn't mean that adverse effects don't exist, it means that they're pretty rare. All medications, whether they're in a pill or an herbal tea, have side effects. Statins mostly carry the same general side effects seen in a lot of medications, such as nausea, gastrointestinal upset, fatigue, headache, vomiting, constipation, diarrhea, and occasional allergic reactions such as rash. In addition, almost every medication carries the risk of liver damage because most drugs are metabolized by the liver. Statins are no different in this regard, and can very rarely cause liver damage. They carry a slightly higher chance than average of causing liver damage because they work directly on the liver to slow down cholesterol synthesis. These side effects generally affect no more than 1% of the population taking the medication at any given time. In addition, each statin carries risks of rare individual side effects too many to list here. Pharmaceutical companies have a habit of listing each and every disorder or incident that comes up, whether they know it's related to the medication or not, to be on the safe, non-liable side. Because of this practice, lists of potential side effects are usually two pages long or more. Remember that statistics can be decieving and downright misleading. That good-looking percentage of 1% put about by the drug companies doesn't mean that less than 1% are affected by all those side effects, it means that approximately 1% is affected by headache, and approximately 1% is affected by nausea, and approximately 1% is affected by constipation. Each side effect is evaluated separately for what percentage of the population it affects. The total of people experiencing side effects can add up to 5% or higher, they just won't all get the same side effects. The more damaging side effects, of course, are also a lot more rare than headaches and GI (Gastro-Intestinal) upset. Of course, the statin class does carry one very special, very rare and very damaging side effect. All statin drugs except fluvastatin (Lescol) have shown the potential to cause skeletal muscular disintegration in the data collected over the last fifteen years. In addition to the sheer unpleasantness of having muscles that are degenerating, the byproducts from muscular breakdown can overwhelm the kidneys, leading to kidney shutdown and potential fatality. This process starts in less than 1 in every 100,000 people taking a statin medication, and can be caught easily and quickly with appropriate blood tests. When caught early, the process usually stops when the medication is discontinued. For this reason, you need to report any muscle tenderness, pain, aches, muscle cramps or dark urine to your doctor immediately. When relatively mild, this side effect is usually referred to as myopathy, which just means "muscle disease". However, when it gets sufficiently severe to start causing kidney malfunction, it's referred to as rhabdomyolysis. Like most medical terminology, rhabdomyolysis is made up of the Latin or Greek words meaning basically the same thing. Lysis means rapid breakdown, and rhabdomyo specifically refers to skeletal muscles instead of organ muscles such as intestinal muscle walls. Skeletal muscles are defined as the ones you consciously move to use, such as biceps, quadruceps, and so on. This side effect was the reason that cerivastatin (Baycol) was removed from the market. It caused between 10 and 100 times the number of severe skeletal muscle degeneration cases as expected. It passed its clinical trials, but once it got out on the market, reports of this severe side effect started popping up much more often than any other statin drug in the history of the class. The likelihood of developing this side effect goes up proportionally with the level of statin medication in the blood. This means that doctors have a responsibility to keep the statin dosage as low as possible while still doing its job. Of course, each statin also has its specific interactions, which again are explored more in the individual profiles. In addition, as stated earlier a lot of medications are metabolized in the liver. Most of them are metabolized by the cytochrome P-450 liver enzyme, including every statin except for fluvastatin and pravastatin. Any medication that interferes with this liver enzyme's ability to process a statin drug out of the blood will "back up the works", so to speak, and lead to higher than expected statin blood levels in the body. Since the skeletal muscular degeneration is directly linked to higher statin blood levels, you want to avoid taking statins with any other medication or substance that blocks the cytochrome P-450 liver enzyme. These medications are fibrates, antibiotics such as erythromycin, biaxin, itraconazole, and clarithromycin, HIV protease inhibitors, cyclosporine, diltiazem, verapamil, certain antidepressants like fluoxetine, and, last but not least, grapefruit juice. Yes, you heard right, grapefruit juice. I remember when I was a newly graduated pharmacy technician and I first saw the "Do Not Drink Grapefruit Juice While Taking This Medication" label on a bottle. I asked my pharmacist about it, and apparently the look on my face was so quizzical that she had to hang on to the counter to stop laughing. That's when she explained to me that grapefruit juice carries a specific enzyme that the liver has to metabolize before the kidneys will filter it out, and it interferes with the metabolization of certain drugs, including most statins. In addition, niacin-based and fibric-acid based medications are shown to contribute to skeletal muscular degeneration and liver damage all by themselves. Combining them with statins just increases the chance of developing these side effects. Therefore, you'll also want to watch out for gemfibrozil (Lopid), clofibrate (Atromid-S) and fenofibrate (Tricor). If you have to take one of those medications, you may want to investigate a variety of options depending on circumstances. If you're taking a short-term course of antibiotics, it may be simpler just to temporarily go off the statin medication in question. High-cholesterol linked cardiovascular disease is a long term, chronic problem that won't get worse because of fifteen days off of the medication. Another option is for your doctor to do enough blood tests to know how much lower your dose needs to be to take the other medication into account. If you're on one of the medications you'll be taking for a long time, you may want to look into fluvastatin, pravastatin, or an entirely different class of cholesterol-lowering medication. And, last but not least, there are two drugs out there that reduce the effectiveness of statins. These are cholestyramine powder (Questran) and colestipol (Colestid). If taken at the same time, these medications bind to statins in the intestines and keep them from being absorbed by the body. Why pay that much for medication if you're not actually getting the benefit? So, always take statins one hour before taking either cholestyramine and colestipol. 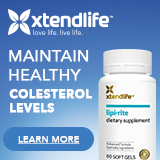 If you've been studying cholesterol medications for a while, you'll probably notice that statins seem to interact badly with most of the other cholesterol lowering medications out there on the market today. Sad, but true. While combination therapy carries a better chance of lowering cholesterol, there are only a few medications you can use in combination with statin drugs. Cholestyramine and colestipol can be used as combination therapy if the guidelines for dose timing are followed, and ezetimibe (Zetia) has proven rather effective in combination therapy while not increasing statin blood levels. Other than those, use extreme caution when taking statins in combination with other lipid-lowering drugs. Contraindications for the Use of Statin Drugs - or - Who are the people who shouldn't take statins? Statin class medications are not indicated for people who have high total cholesterol but low LDL-C and triglycerides. Because of this, senior citizens should probably be more cautious than their younger counterparts, as the kidneys often seem to be the first thing to go. At the other end of the age range, statins seem to mostly work the same in adolescents as they do in adults, as long as boys have been through puberty and the girls have been menstruating without problems for at least a year. Statins have never been tested on patients younger than that, and so should not be prescribed for young children. No statin except pravastatin (Pravachol) have never been tested on patients younger than that, and so should not be prescribed for young children. Child metabolisms before puberty work differently than after puberty, so the medical community really has no idea what would happen. Pravastatin (Pravachol) has been tested relatively safe on children down to age eight, but again, even this medication should not be used unless the benefit outweighs the risk. Last but not least, pregnant or nursing mothers should not take statins unless the benefit from the drug outweighs the risk to the fetus. Ok, that's true for pregnant and nursing mothers across the board, as medication trials can't really be done ethically on unborn children. However, statins carry two hefty risks for developing children before and after birth. Number one is that developing children need cholesterol in order to develop properly, and medications that lower cholesterol in pregnant and nursing moms can block needed cholesterol to the baby. Not good. Number two is that a statin was shown to have a teratogenic effect on developing children. Teratogenic means that it directly interferes with fetal development and can produce deformities. Remember thalidomide? Thalidomide was perhaps the most famous teratogenic drug, producing terrible effects in children born in the middle of the twentieth century. Because one member of the statin class produced this effect, all statins are under suspicion. The upshot is that fertile women of childbearing age should take precautions to not get pregnant while taking a statin, and if conception occurs, statin therapy should be discontinued as soon as possible. The child's development will probably absorb high cholesterol levels in and of itself, and 40 weeks of no medication will not make much of a difference in a disease process that takes years. Please indulge me in a tiny pharmacy technician's rant here. The funding to test each and every medication against each and every other medication and/or disorder would be beyond any company or government's ability to provide. Clinical studies are run on the most likely drug/drug and drug/disease interactions, but there are whole vast areas for which data simply does not exist. That doesn't mean the drug is safe, it doesn't mean the drug is unsafe, it means that nobody knows what will happen. Doctors like avoiding situations where they don't know what's going to happen, they don't want to use their patients as guinea pigs, but sometimes a doctor will take the risk because he or she believes that the benefit is worth it. This is known as "medical judgment" and if doctors didn't get to use it, why do we have them? Your doctor should discuss it with you before prescribing a medication when they don't have data on what's going to happen. If your doctor doesn't discuss it with you, you need to find a new doctor, but the information on this webpage is not meant to contradict a doctor's judgment in any way. The statin class of medications offers important tools to people who suffer from genetically-linked high cholesterol. These medications are generally considered to be safe and quite effective, especially when you consider that cardiovascular disease is one of the leading worldwide causes of death. However, statin medications are not the sort of thing that your doctor can just prescribe for you at an annual visit and not see you until the next year. If you're taking statins, you and your doctor need to communicate regularly, and you need to have occasional blood tests performed to check for signs of liver damage or skeletal muscular degeneration. No medication offers a "magic pill" that will solve all your problems, but in a context of knowledgable support, healing and communication, statins offer a significant advantage to anyone plagued by uncontrolled high cholesterol. Original research and writing by L. Ice, Editing by D. Urquhart.